You want to feel confident, and look your best. But wrinkles sometimes make you look and feel tired. Belotero® is one of the many FDA-approved solutions expertly applied by Dr. T.G. Khan, medical director at Edgewater and Hoboken Cosmetic & Laser Centers. Belotero can help maintain your youthful appearance. What is the Belotero® Dermal Filler? Belotero® is a HA Dermal Filler approved by the FDA for severe wrinkles. HA stands for Hyaluronic Acid. It’s a naturally occurring enzyme in the body that promotes skin elasticity. How can a Belotero® treatment help me? Belotero is particularly good for filling lower eyelid hollows, crow’s feet, and very fine wrinkles such as frown lines. Its extra smooth consistency evenly integrates with your own tissues, as well as discreetly enhancing your facial contours. In days, you’ll have that smooth, youthful appearance you once had, and the confidence that comes with it. 97% of patients receiving Belotero® show a visible improvement after one treatment. Why should I get Belotero® at Edgewater MedSpa? The best thing about getting a Belotero treatment at Edgewater and Hoboken Cosmetic & Laser Centers is that should any additional treatments be needed to perfect your look, we are always available to offer you a vast array of options. 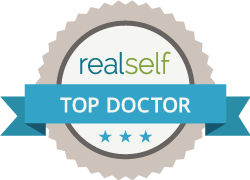 Dr. Khan is a board-certified physician, a Fellow of the American College of Surgeons, and is skilled in a wide variety of cosmetic procedures. Having over a decade of experience in cosmetic injections and cosmetic laser treatments, Dr. Khan will recommend the treatment plan that’s best for you. His expertise in everything from reconstructive surgery to cosmetic injections and laser treatments ensures that your procedure will be expertly administered and your minimal recovery conscientiously monitored. Call Edgewater and Hoboken Cosmetic & Laser Centers today at 201-313-8899 to set up an initial consultation. You will be happy you called!